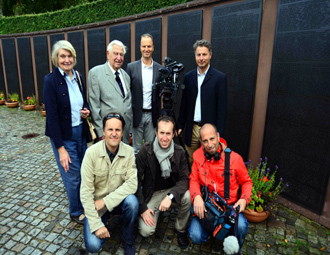 From 16 till 22 September 2012, L’Expedition Scyllias participated, in Germany, beside French and German participants, in the shooting of a documentary realized by the Convergence images company. 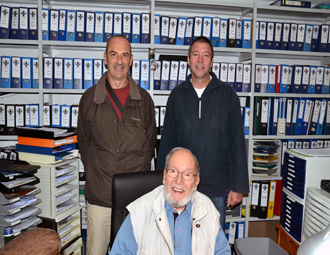 In this opportunity were gathered Luc and Marc Braeuer, founders and organizers of the remarkable “Le Grand Blockhaus” museum in Batz-sur-Mer (near Saint-Nazaire) as well as the film team consisted of Alban Vian, producer and director; Stéphane L'Hôte, cameraman and Bruno Delande, sound operator, all three also reporters and photographers. 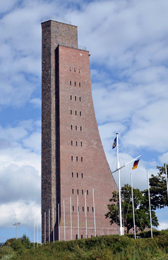 The first part of this trip took place in Kiel, the famous harbour of the Baltic Sea. 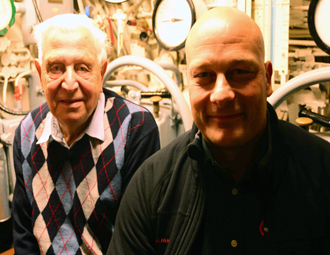 The opportunity to meet a former Kriegsmarine submariner, Oberleutnant-zur-See Hans Stemmler, Leitender Ingenieur aboard U 621, U 58, U 953 and U 3014. Having worked on the elaboration of Schnorchel and the last models of torpedoes, his testimony was a tremendous learning experience. 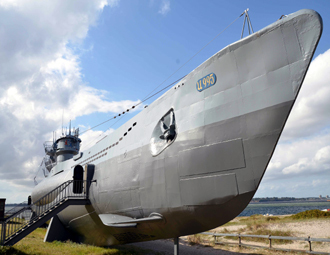 The next day, accompanied with this veteran of the U-Bootwaffe, the team discovered U 995, in Laboe, last type VII C U-Boot still in a pretty good state and besides get-at-able to everyone for visit since its refurbishment in museum. There also, in situ, the former submariner delivered his testimony. 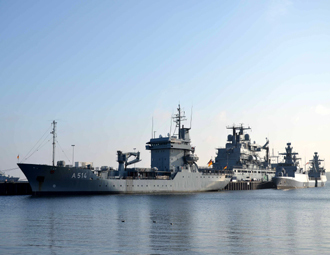 Left : Kiel army harbour: tender A514 Werra (Elbe class) ; stern to stern, corvettes F263 Oldenburg and F264 Ludwigshafen am Rhein (Braunschweig class) ; on the other side of the quai, the huge combat support ship A1412 Frankfurt am Main (Berlin class). Centre : two officers of the German navy, two ages : Oblt-z-S Hans Stemmler and Oblt-z-S Jens Höner. 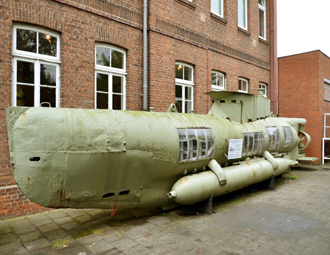 Right : the museum-U-Boot U 995, last type VII C still get-at-able for visit. Oberleutnant-zur-See Jens Höner, naval frogman and instructor to the Kampfschwimmerkompanie in Eckernförde, friend of L’Expedition Scyllias and specialist of rebreathers (recordman for Germany with -241m), also brought his help : in this particular case a real Tauchretter was kindly lent by the firm Dräger. OlzS. 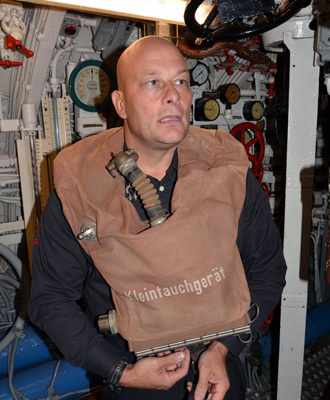 Höner, in front of cameras, explained the functioning of the famous rescue device, the use of which was indeed relatively complex. This very busy day ended by the visit of the memorial to the German disappeared sailors, face to U 995. Followed a passage in front of the old and ruined walls of the Kiel-Wik barracks behind which hundreds of German submariners passed in transit and which preserves, from now on, the memory of a sacrificed youth. Left : the famous memorial tower. 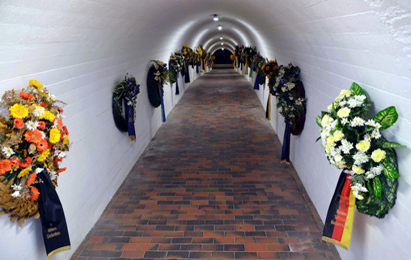 Centre : wreath laid in memory of disappeared German sailors. 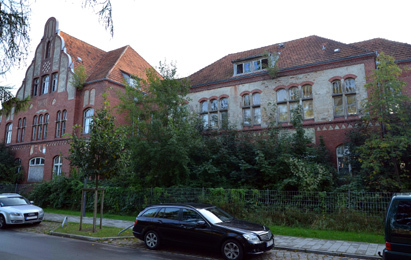 Right : the former Kiel-Wik barracks. 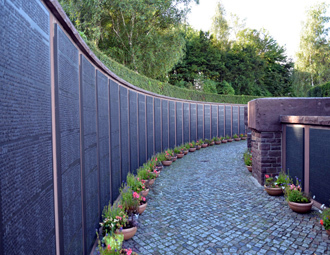 The morning of 17 was dedicated to the memorial of the German submariners disappeared at sea, erected in the small village of Heikendorf. We watched the bronze plaques pass by, on which are engraved the names of thousands of men and hundreds of U-Boote disappeared during both world wars. 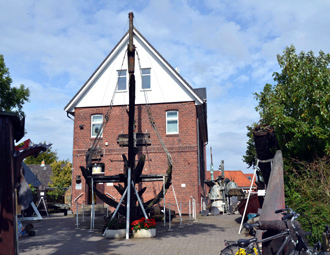 The afternoon and the day of 18 were reserved for the Deutsches U-Boot-Museum (Stiftung Traditionsarchiv Unterseeboote), in Altenbruch, where his world-famous founder, former Leutnant-zur-See Horst Bredow, embarked aboard U 288, welcomed us and opened us the doors of his archives within this admirable museum. 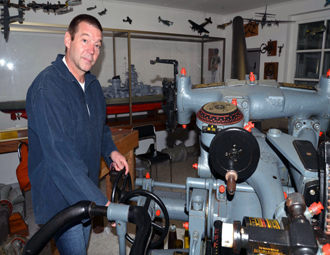 This is Dietmar Scholten, a diver of the Ubootarchiv diving team and also friend of L’Expedition Scyllias, who acted as a guide in this fabulous private museum dedicated to the German submarine arm of both wars. 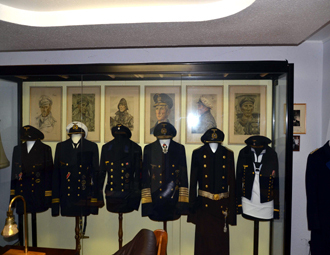 The uniform of admiral Karl Dönitz thrones in the right place, surrounded with other uniforms of submariner and with parts so exceptional as rare, real testimonies of a page of History exposing itself to the gaze of the stunned visitor. A breathtaking dive in the brave and dramatic epic of Unterseebootwaffe ! Left : JLM, Dietmar Scholten and former Leutnant-zur-See Horst Bredow. 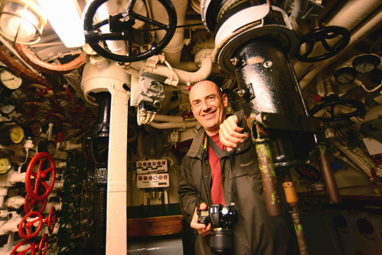 Centre : Dietmar Scholten is manoeuvring a 8,8cm SkC/35 deck gun. Right : uniforms in plenty, among them admiral Karl Dönitz' one (third one from the right). The trip continued together with Dietmar by the visit of an original museum situated not far from there, in Cuxhaven : the Wrackmuseum is a complex dedicated to shipwrecks and presenting numerous very original pieces of which a midget submarine Seehund or the conning tower and the propellers of the English submarine E 24. We packed a lot into this week which allowed L’Expedition Scyllias to consolidate the friendly relationship with these German divers of the Ubootarchiv diving team, to discover together some representative elements of the exceptional German historical heritage and to participate, together with the Braeuer brothers and with the Convergence images team, in this first part of the shooting of a promising documentary. From right to left, up to down : Luc and Marc Braeuer (musée du Grand Blockhaus), Hans Stemmler and his wife ; Bruno Delande (sound operator), Alban Vian (producer and director) and Stéphane L’Hôte (cameraman) for Convergence images.